We’re very pleased to have you here! This means that your holiday is very important for you. That’s fantastic. If you want some advice, just know that we’re here to help you to fulfill your holiday dream! 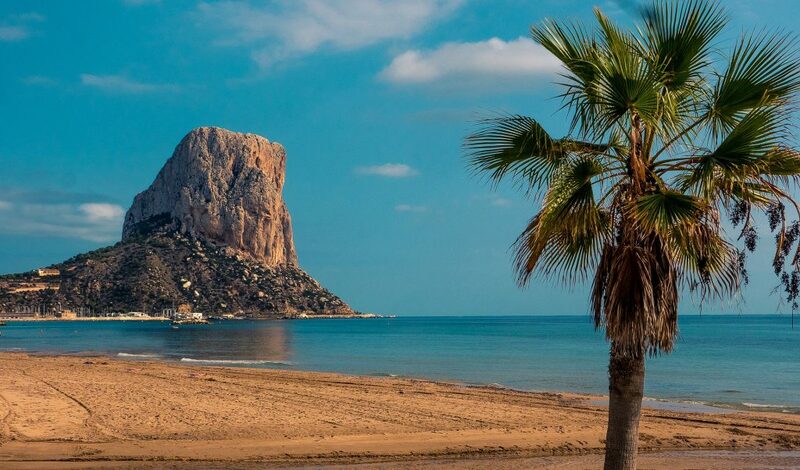 Would you like to visit Calpe, but do you want to enjoy yourself on your own pace and way? Do whatever and whenever you want. 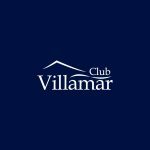 When you stay in a villa or holiday home of Club Villamar this is all possible! And you’re even able to relax in your own pool! But first things first. 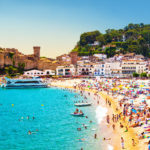 Take a look around in our TOP 10 of Calpe to get a first impression what you can expect in Calpe. 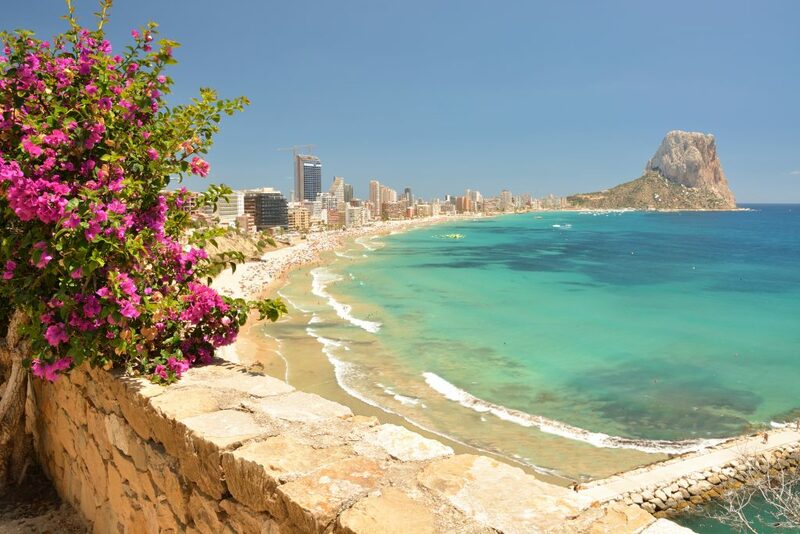 You can’t spend your holiday in Calpe without visiting Peñon d’Ifach? Specially for this volcanic rock formation lots of holiday makers travel to! Tip: Make your climb on this volcanic rock formation of 332m high early in the morning or later in the afternoon. Just to avoid the summer heat. For an excellent day on Peñon d’Ifach you wear a good pair of walking shoes, bring some food and water. Imagine you’re on top of a hill, where you’re surrounded by wonderful old buildings and an impressive view. 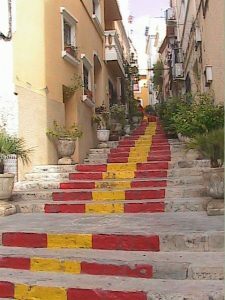 Yes, you’ve finally reached the old town of Calpe.The cobblestoned streets lead you to beautiful churches, museums, typical Spanish bodegas and international cafes. We advise you to take time for your tour in Calpe. The great murals everywhere make Calpe already look like an open air museum. Every afternoon fresh fish in Calpe! Do you want to get into the relax modus? The port of Calpe definitely will do you good. Every afternoon the port is in the spot light when several fishing boats moarn in. It’s very interesting to see the fishermen unload their boats and admire the catch. 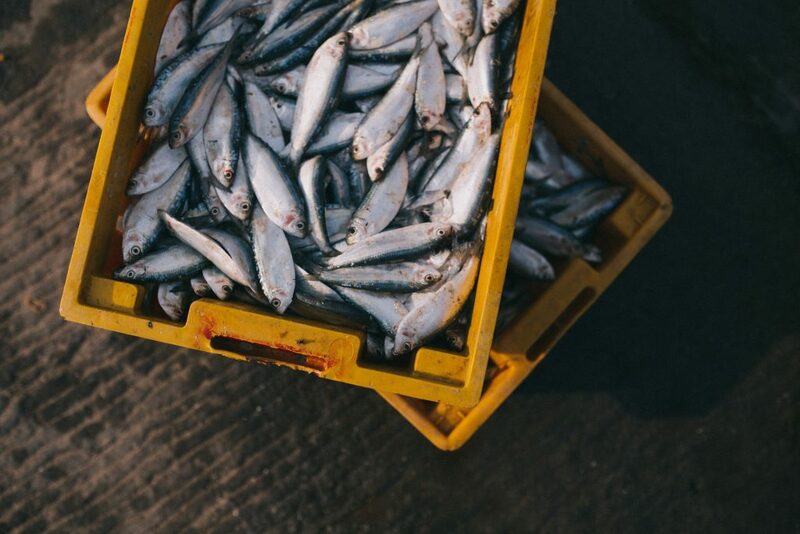 Once the catch is unloaded a part of the fish goes directly to the restaurant kitchens. When the chef-cook has done some culinaire magic, it’s time to taste a delicious fish plate. You can also buy the fish on the fish market, when you prefer to cook by yourself in your own holiday home! 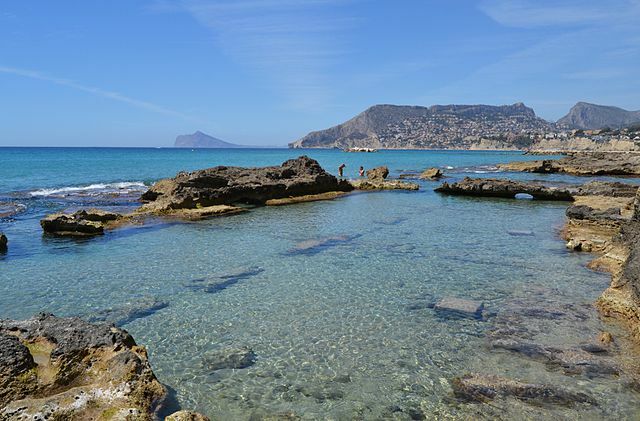 If a visit to natural areas make you happy, Las Salinas de Calpe got to be on your holiday sightseeing list. It’s more than a place filled with salt. Las Salinas de Calpe is of great historical value and it’s a wonderful place with a natural and cultural high level. Enjoy your time with your family or friends in this natural park and admire the fauna in her own natural environment. Keep your eyes open, because you’ll find a large variety of birds and quite often colonies of flamingos appear here. You’ll make a time travel when you visit Torre Molí del Morelló, the ancient flour mill. The mill construction dates from the mid 19th century and was part of the production of flour.The flour mill is situated in the western part of the archeological zone Baños de la Reina (see nr. 7 of this TOP 10). Previously the Costa Blanca was filled with mills. But, Torre Molí del Morelló is the only one which left. And the good thing is, it’s in Calpe! Appreciate the ancient mill which show, even nowadays, the canalisation to deduct the flour. When you’ll enter the mill you’ll see a kind of “graffiti” of a ship cabotage. It’s for sure you’ll see something you won’t see everywhere. Do you love golf? Calpe will feel like the 7th heaven! The golf course is also a good place to integrate with the locals, as golf is a very popular sport among locals and tourists. You’ll be inspired to demonstrate the rest of the course your golf talent, as the golf course is designed by the world-class golfer Jose Maria Olazabal. 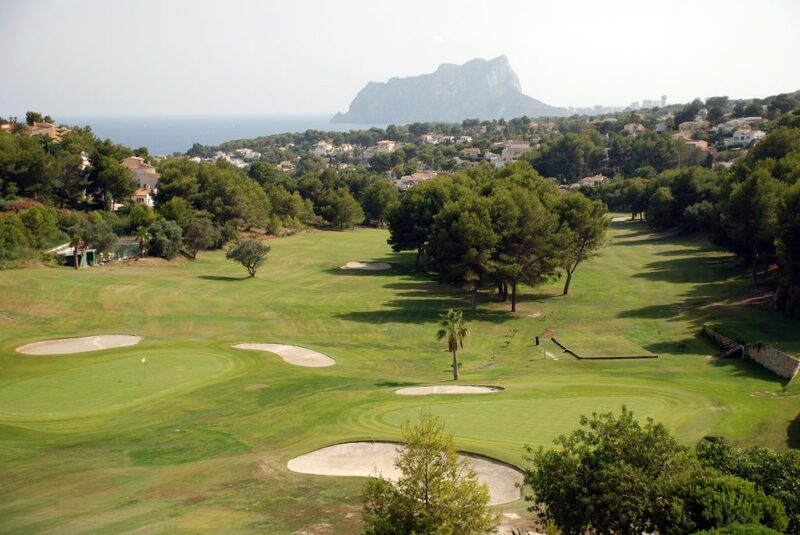 In the village next to Calpe you’ll find this 18-hole famous court. Not far away there’s also an 15-hole golf course where you can play golf. There’s a legend that says a Moorish queen was bathing in Baños de la Reina (the baths of the queen). In reality it wasn’t that spectacular.In the Roman times the pools where actually a fish farm with the most important fish in the Mediterranean region. Baños de la Reina is near the promenade and the sea of Calpe. One way or the other, it’s fascinating to see how this beautiful natural creation is organized. The ancient church of Calpe you can’t pass without noticing it during your holiday in Calpe. Take advantage of your stay in Calpe and take a closer look. You’ll see that it’s attached to the parish church of Nuestra Señora de las Nieves and that the old defensive walls keep the church up. Be alert when you’re on Plaza de la Villa, because this is the square where unique example of Gothic-Mudejar of Valence is situated. 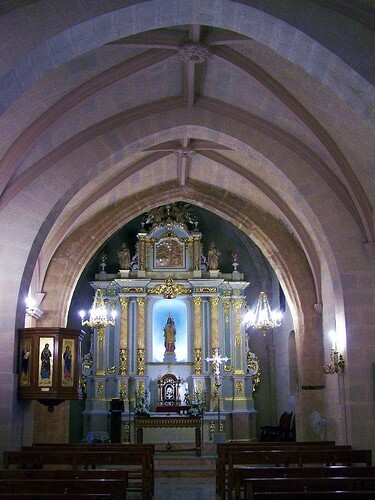 Inside you’ll discover a valuable painting in which 3 saints are represented (San Antonio Abad, San Cosme et San Damián). Even if you’re not a fan of history, you can’t resist Torreó de la Peça. This tower is a must to see if you visit Calpe! During the 15th century the tower, Torreó de la Peça, was part of the defense of Calpe. Nowadays, you can enjoy the remains, which are in very good condition. In 1981 the tower and its walls have been restored. If you want to discover more things, you’ll definitely like to go inside the museum, Museo del Coleccionismo. Next to the tower you’ll find 2 canons dating from the 18th century. 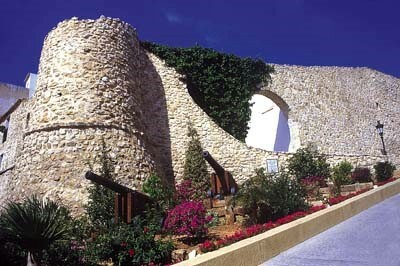 Before the canons were part of the port of Calpe. We bet this is the place is going to be 1 of your favorites in Calpe. No wonder, we recommend Fuentes de Algar to you! 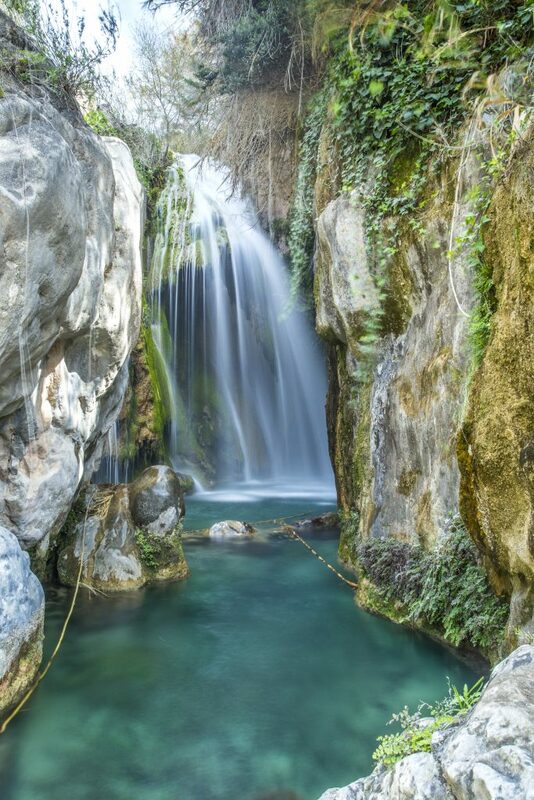 The best is what you need for your holiday!The Algar waterfalls are very popular on the Costa Blanca! Algar waterfalls are very popular! Fuentes de Algar are part of a protected national park. The journey is in about 1.5 km. It’s a spectacular way along the river and you’ll see wonderful waterfalls. And you know what? The crystal clear water is very good for your health. When the sun is shining we have no doubts that you can’t resist a bit of refresment in this water as well. Have you ever imagined yourself stretched-out on a sun lounger with your favorite drink on the edge of your own pool? Don’t only try to imagine, fulfill your holiday dream. 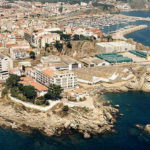 TOP 10 of Spain, which includes TOP 10 links to other Spanish holiday destinations.